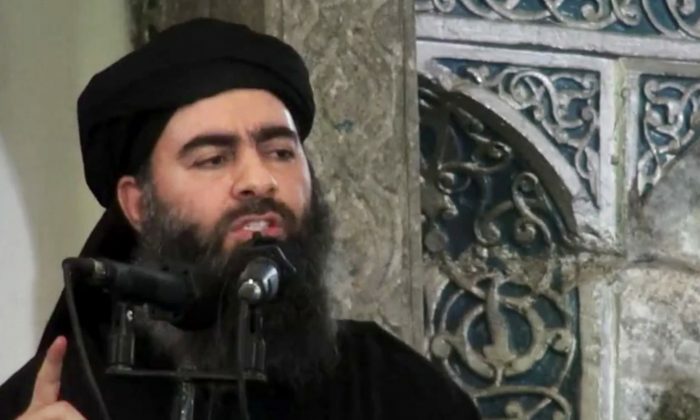 A report published Friday apparently contains new comments from ISIS leader Abu Bakr al-Baghdadi, but he didn’t make any mention of the Paris attacks that left more than 120 people dead on Friday. And in the wake of the deadly Paris attacks, an article from early 2014 is now going viral that contains comments from the ISIS chief talking about his group potentially fighting against America. He issued an audio message in January 2014, saying the group would move into “direct confrontation” with the United States. In May, he made comments for all Muslims to join jihad. “There is no excuse for any Muslim not to migrate to the Islamic State … Joining (its fight) is a duty on every Muslim. We are calling on you either join or carry weapons (to fight) wherever you are,” he said six months ago. Before the Paris attacks, Iraqi intelligence apparently sent a dispatch saying al-Baghdadi ordered an attack on coalition countries fighting against them in Syria and Iraq, and also on Iran and Russia. They would occur “through bombings or assassinations or hostage taking in the coming days,” a source told AP on Sunday. Six senior Iraqi officials corroborated the attack information in the recent dispatch, and four of the officials said they specifically warned France of a potential attack, the AP report said. While there have been reports speculating on al-Baghdadi’s whereabouts, a recent report said he’s currently in Nineveh, Iraq. On Sunday, French aircraft started pounding an ISIS stronghold in Syria. At least 12 jets have dropped 20 bombs on 30 different targets in Syria. Sky News reported that French planes hit a jihadi training camp, recruitment center, and a weapons depot. 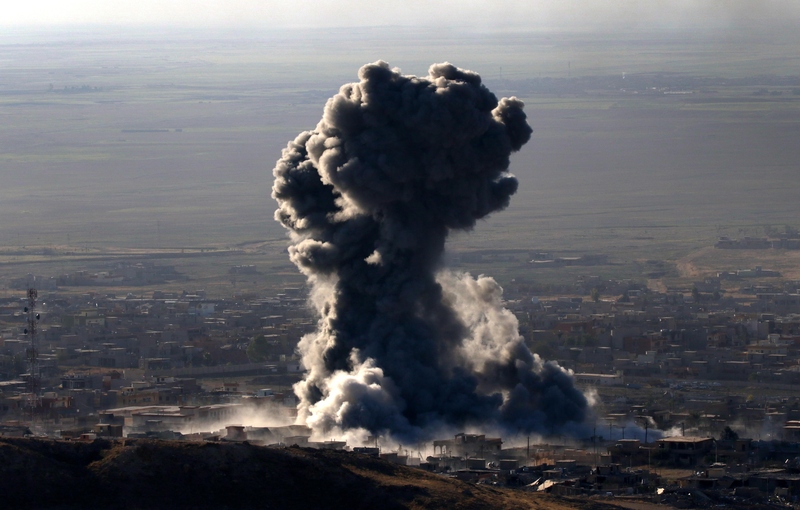 It’s not clear if any ISIS militants or civilians were killed in the airstrikes. At least 132 people were killed in the terrorist attacks across Paris that started Friday night. Hundreds more were wounded, many seriously. The French Ministry of Defense said the strikes were launched simultaneously from the United Arab Emirates and Jordan. Activists in Raqqa said the power and water was cut off due to the airstrikes, AP reported.